John Hawkinson, a former reporter for The MIT Tech, tweets that the initial police report was allegedly recieved over the Internet and that the IP address was from New York. It’s not clear where he’s getting this information. Around 7:30 a.m. Saturday, Cambridge Police tweeted that there was a “possible person with a gun” on Mass Ave. It’s not clear whether this was the same person seen on the MIT campus. Cambridge Police tweeted around 9:30 a.m. that officers searched the MIT building at issue and had “negative results,” which apparently meant they did not find the reported gunman. Cambridge, Mass. 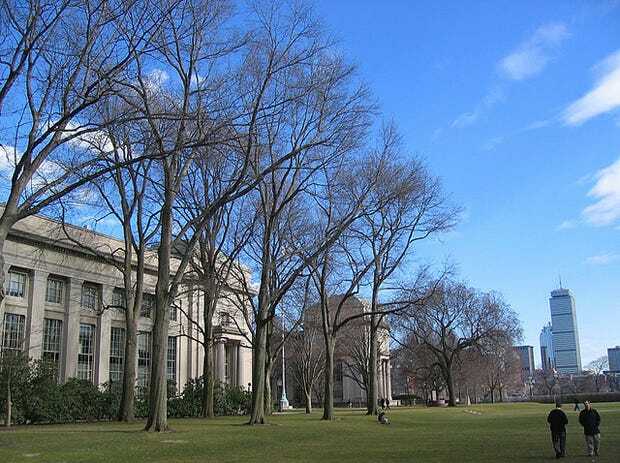 police tweeted around 10:20 a.m. that the scene was clear, and that there was “no threat to public safety.” MIT had issued an emergency alert Saturday morning warning students of a man with a long rifle and telling them to stay indoors. A WBZ-TV reporter said police were removing crime scene tape on Mass. Ave. near campus by 10 a.m., CBS Boston reported. This morning information was received from Cambridge Police that there was a person with a long rifle and body armour in the Main Group Building of MIT. Multiple law enforcement agencies have responded, stay indoors and shelter in place and report suspicious activity to the campus police dispatch dial 100. More updates to follow.